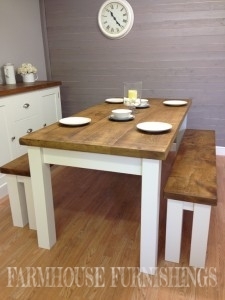 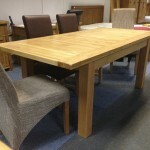 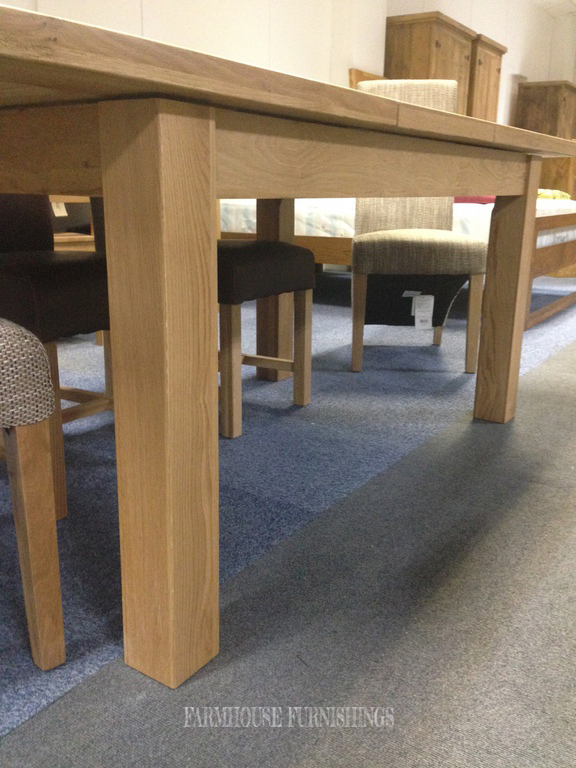 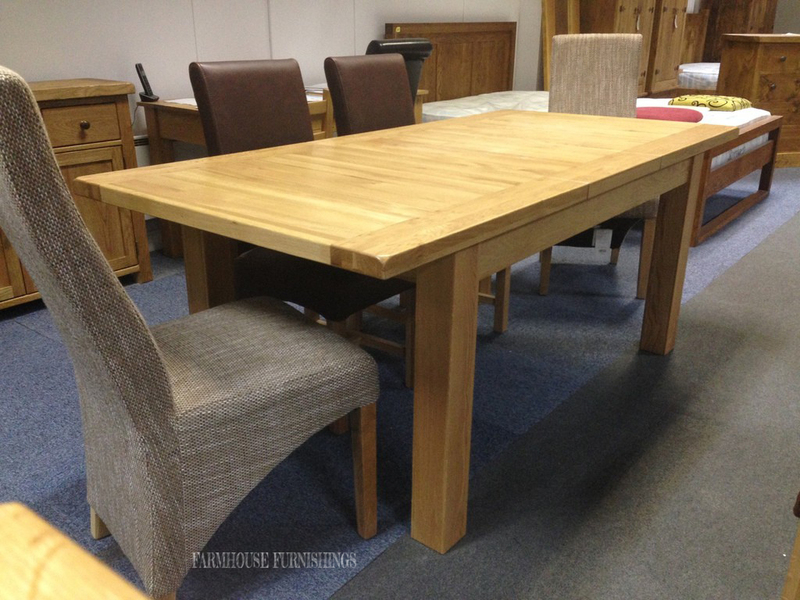 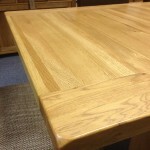 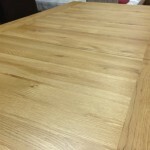 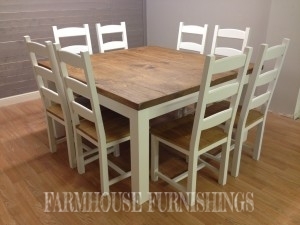 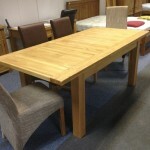 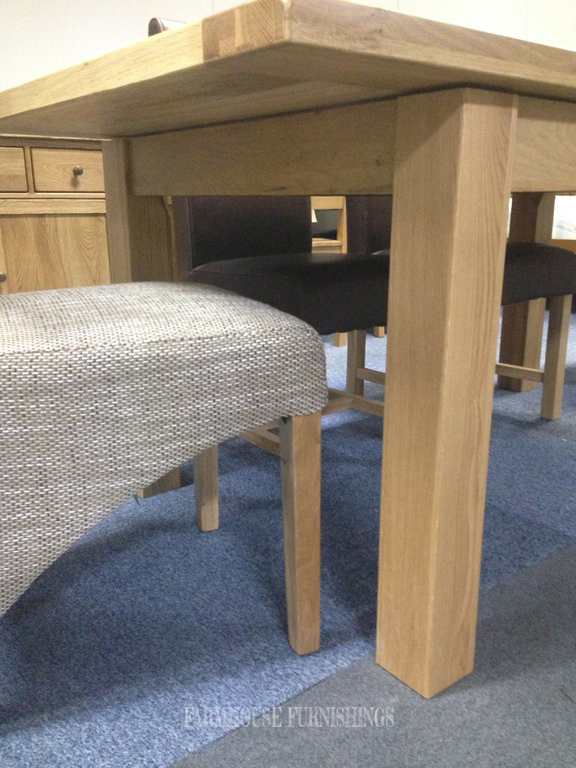 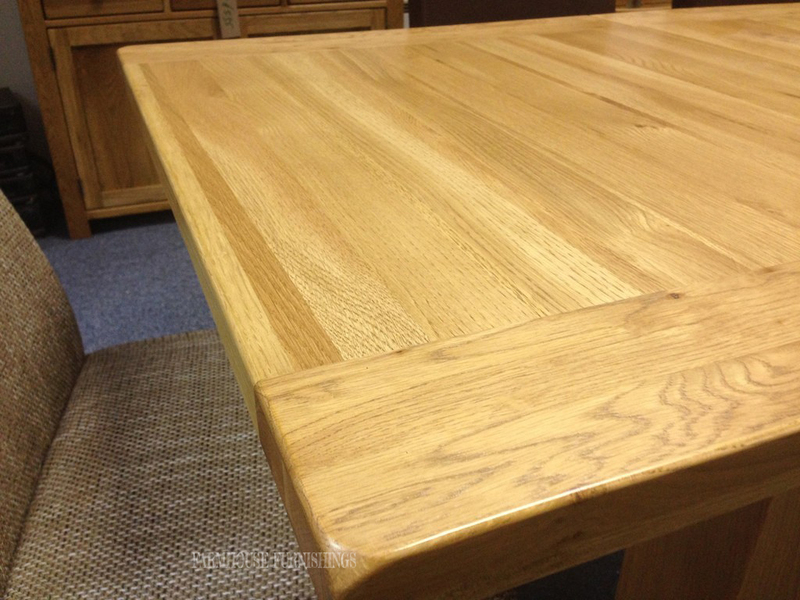 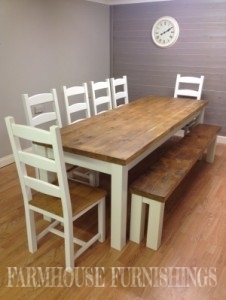 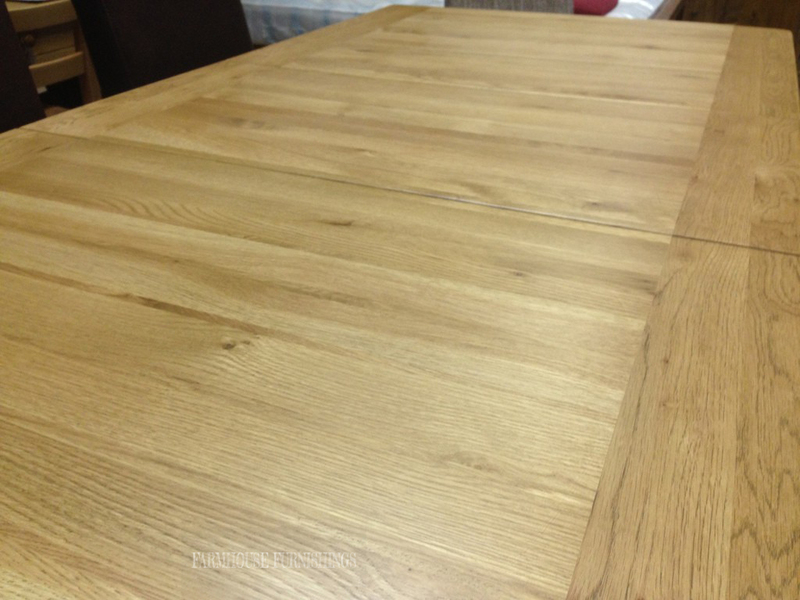 This solid oak dining table is chunky and impressive. 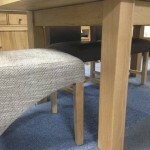 It extends by removing the central leaf and sliding the two outer leaves together, underneath is a space to store the middle leaf. 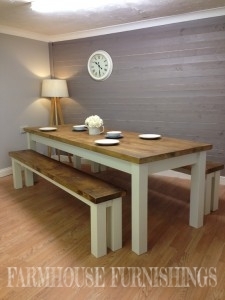 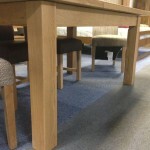 The legs can be painted in any Farrow and Ball colour or left unpainted. 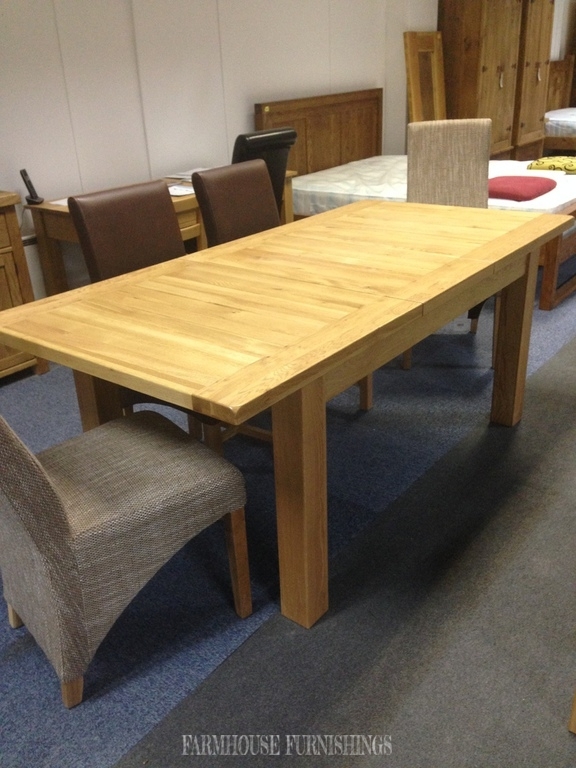 This table comes in three sizes.